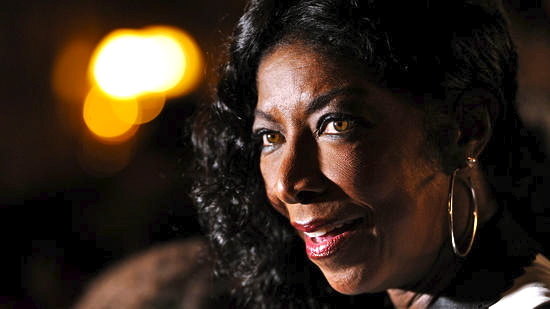 Natalie Cole, daughter of legendary singer Nat King Cole, died last night of congestive heart failure. Ben Tracy has more. Natalie Cole, daughter of jazz great Nat King Cole who carried on his legacy, has died. 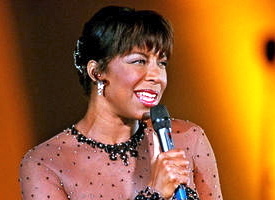 It isn’t easy being the child of an icon, and early in her singing career, Natalie Cole resisted the legacy of her famous father, crooner Nat King Cole. In the early 1970’s, when one club owner billed her on the marquee as “The daughter of Nat King Cole,” she became angry, insisting she wanted to succeed under her own name. In concerts, she refused to sing her father’s songs. “People said when I started, ‘Why don’t you just copy your father’s style?’ I had to be myself, singing my songs in my own way,” she told Jet magazine in 1976. Early on, she also told the magazine, people had tried calling her Natalie “Queen” Cole. With a jazz-and-gospel-inflected voice whose power was undeniable, Cole eventually managed to emerge from the shadow of her legendary father, overcoming struggles with drug addiction and health problems to stake out her own successful career, selling more than 30 million albums and earning nine Grammy Awards. Yet Cole’s greatest triumph — both commercially and perhaps artistically — would come when she embraced her family history with the 1991 album “Unforgettable … With Love,” in which she recorded a series of her father’s favorite standards and sang a duet of one of his signature songs with him decades after his death. Cole died Thursday from congestive heart failure at Cedars-Sinai Medical Center in Los Angeles. The singer, who had recently been forced to cancel several tour dates because of poor health, suffered from hepatitis C and various health complications from a 2009 kidney transplant from which she never fully recovered, according to her publicist, Maureen O’Connor. She was 65. As news of Cole’s death spread Friday morning, many who had known her — whether up close or from afar — including fellow performers Cher, Patti LaBelle and Tony Bennett, took to social media to offer their tributes to a singer who had experienced both triumphs and tragedies. Cole’s success spanned four decades and multiple genres. She achieved fame in the mid-1970s as an R&B artist with the hits “This Will Be,” “Inseparable” and “Our Love.” She later saw her career wane as she privately battled drug addiction. But in 1987 Cole returned to the charts with the comeback album “Everlasting” and then found even greater success a few years later with “Unforgettable … With Love,” which sold more than 6 million copies and won six Grammy Awards, including album of the year. Cole was born Feb. 6, 1950, the second of five children to Nat King Cole and Maria Hawkins Cole, a jazz singer who had sung with the Duke Ellington Orchestra. She grew up in a house filled with music. Luminaries such as Billie Holiday, Ella Fitzgerald, Duke Ellington and Count Basie were regular guests. “Not only did I meet and get to know some of these great singers and musicians, but I fondly recall addressing them as ‘aunt’ and ‘uncle,’” Cole told Jet magazine in an interview years later. 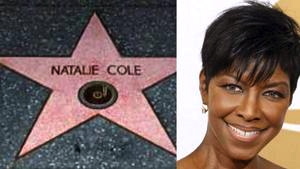 Natalie Cole saw both sides of the coin of fame from an early age. 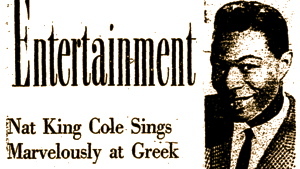 Cole’s father had been propelled to stardom in the 1940s thanks to his silky baritone, only to face virulent racism that would follow him throughout his career. In 1948, when he and his wife bought a house in Hancock Park, members of the property owners association told Cole they didn’t want any undesirables moving into the area. As much as she loved all kinds of music, from traditional jazz to Janis Joplin, Cole’s own professional singing career came about somewhat accidentally. She was working toward a pre-med degree at the University of Massachusetts when a friend who was singing with a local group became ill one evening and asked if she would stand in for him at one of the band’s performances. And that seems to have done it for her. But Cole’s growing success was soon derailed by a worsening addiction to heroin and crack cocaine. 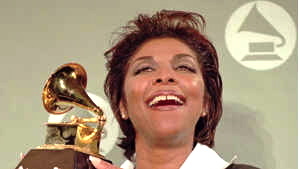 In 1983, with her health and her work suffering, the singer entered rehab. Her years of substance abuse left her with health issues that would plague her for the rest of her life, but Cole’s career eventually rebounded, peaking with “Unforgettable,” which saw her trading phrases with a recording of her father singing his signature hit decades earlier. Alongside her singing career, Cole found a measure of success as an actress, though she initially had some difficulty being cast as anything other than a singer. 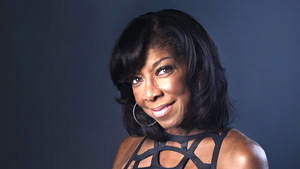 Over the years, she made guest appearances on TV series such as “I’ll Fly Away,” “Touched by an Angel” and “Grey’s Anatomy” and, in 2001, starred as herself in “Livin’ for Love: The Natalie Cole Story,” for which she received the NAACP Image Award for outstanding actress in a television, mini-series or dramatic special. Times staff writers Randy Lewis, Susan King and Frank Shyong and former staff writer Robert Hilburn contributed to this report.